As part of my time at Cotham School I also generated my own response to this singular 1930s building with its distinctive features such as ‘blind’ windows, frosted glass, contrasting colour themes – strong hues along with bland creams and greens – and grid patterns everywhere. 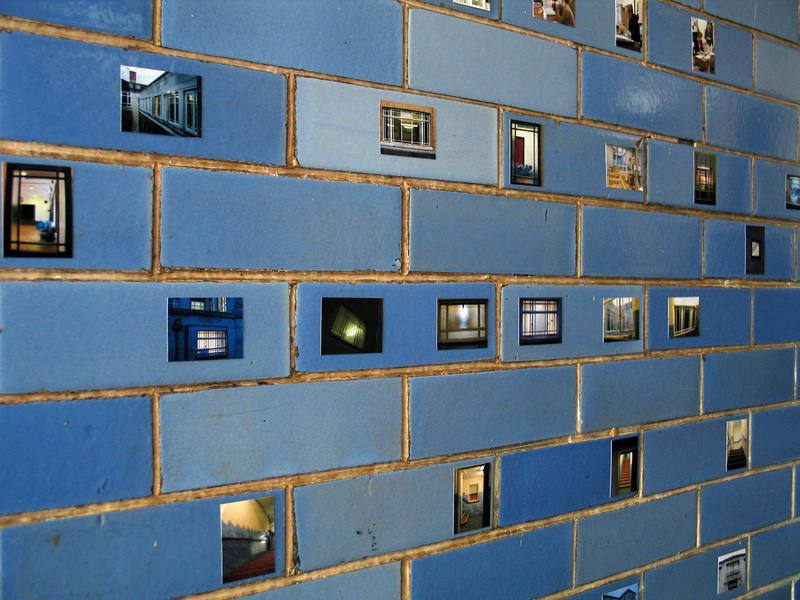 The images I made reflected these strongly formal elements and I displayed them as very small prints pasted onto the blue bricks of the corridor beneath the students’ large black and white prints. 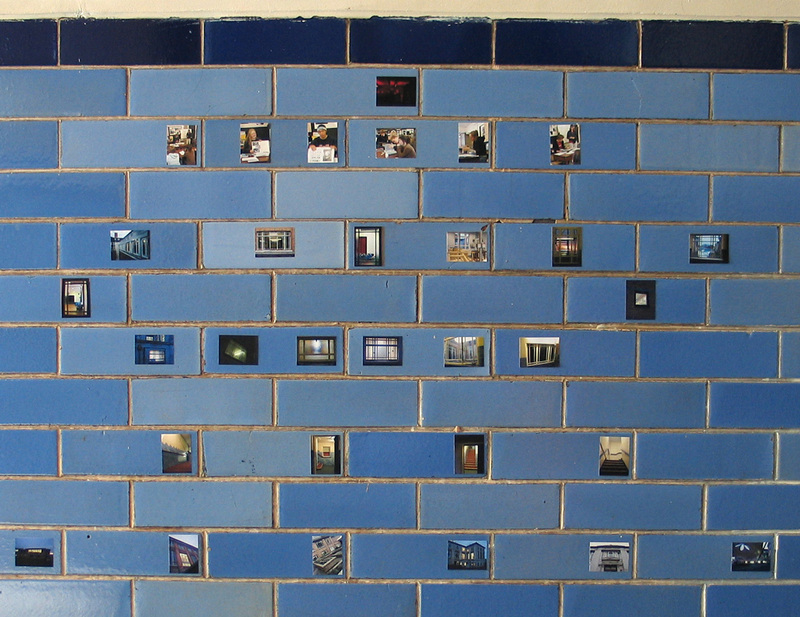 This entry was posted in Exhibited work, Personal Arts Projects, Place and tagged architectural features. Bookmark the permalink.